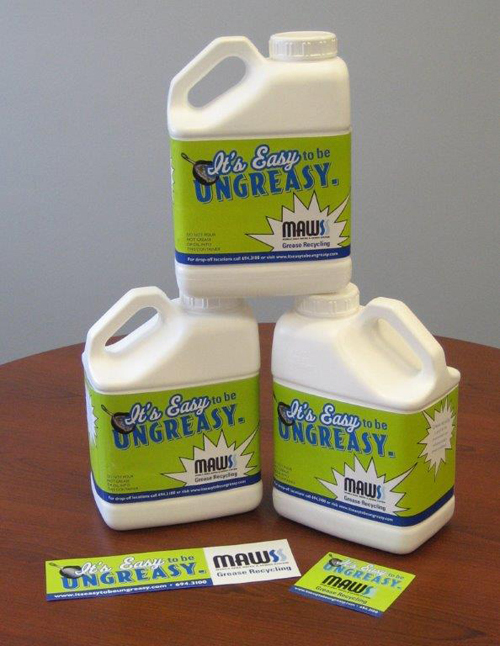 Why let cooking grease be a pain in the drain, when “It’s Easy to be Ungreasy” with MAWSS’ cooking grease recycling program. Just visit one of our convenient grease recycling centers to pick up a free recycling container. When you’ve filled it with used cooking grease, bring it back and get another. It’s that easy! The grease is recycled into useful products like industrial lubricants, animal feed and biodiesel fuel. Best of all, by recycling your cooking grease, you keep it out of the sanitary sewer system. Now, you can do your part to protect the environment and guard against costly sewer problems. For a list of our “It’s Easy to be Ungreasy” recycling locations, click on the site below, or enter your address in the map below.